Having owned and operated her own retail and hospitality businesses, Ellen enthusiastically applies her knowledge and experience to help Tauranga clients to achieve their goals. Ellen genuinely understands the importance of differentiating businesses for sale in the highly competitive hospitality and retail sectors. Ellen has owned and operated her own retail and hospitality businesses and loves to apply her experience and sector knowledge to help Bay of Plenty and Coromandel clients achieve their goals. With 25 years experience in the UK advertising and marketing industry, Ellen has an innate ability to identify the unique point of difference for every business she brings to market and to target the most appropriate buyers to sell that business to. 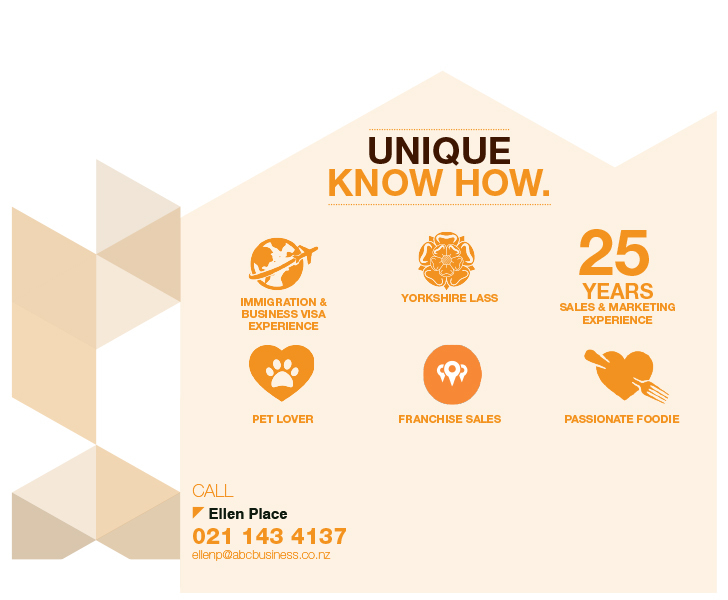 Differentiation in the competitive hospitality and retail sectors is vital and Ellen’s skills and experience are second to none when it comes to selling businesses in these categories. A Yorkshire lass, you will find Ellen is very down to earth and straight talking. Above all she is full of enthusiasm and always finds a solution to every problem which her clients appreciate especially during the crucial negotiation and due diligence processes. Read more about what our clients say about Ellen, here. Beach Town Cafe Bar - Must Sell Now! Mount Restaurant - Perfect Cafe Conversion! Strike out on your own! Right now! In Nelson!